O hai! How r u November? Good to see your mustachioed face once again. We’re currently writing to you from a coffee shop because the workshop has been pretty chilly, but good news: new heaters just arrived! 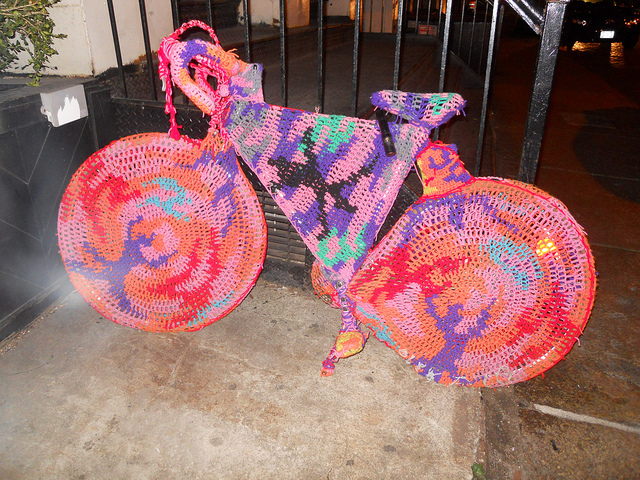 I still recommend bringing a jacket, but your bike can leave its jumper at home. I know you’re busy opening this newsletter at work, so we’ll keep it short. If your boss walks in and asks what those funny pictures are, tell them about the Broken Spoke and I’m sure you’ll get a promotion*. * Promotion not guaranteed, but coolness points will certainly multiply. Bring your costumes, noise makers, or neon lights for added fun! 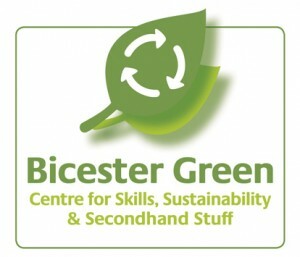 Our partnership with Bicester Green means we now keep 4-5 second hand bikes in the shop. 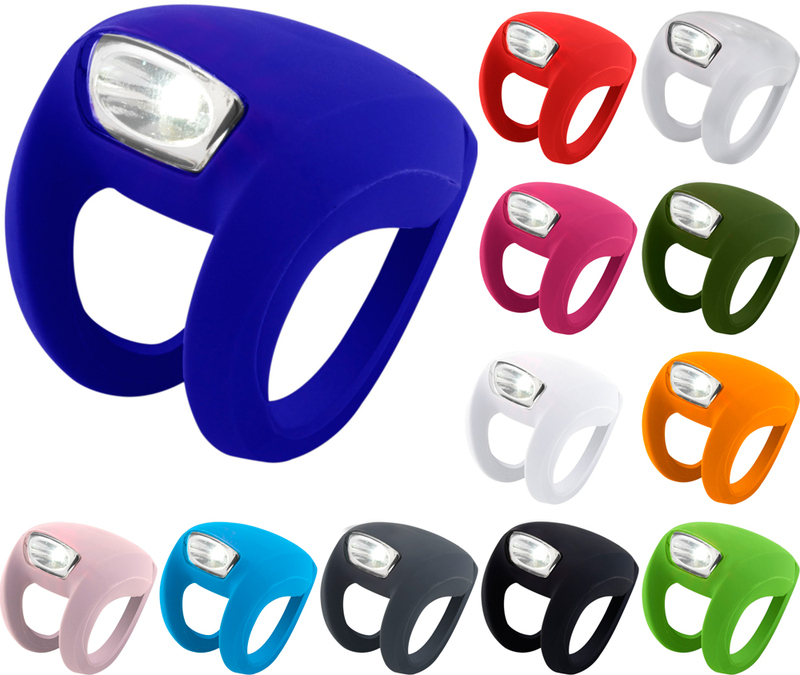 These are for sale, and you can also get lights and locks while your wallet is out! Plus, we’ll be in Bicester running their public open workshop from 7-9.30pm tonight. 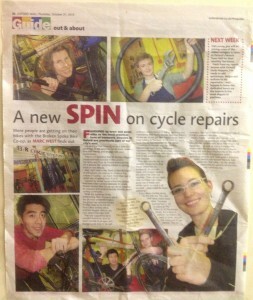 Get fixin’! Christmas is just around the corner, and we’re stocking up on Knog lights and Green Oil for the bike nerd in every family. We also sell vouchers if you want to give someone the opportunity to take a class. You can buy these online here! 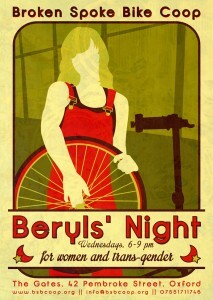 Beryls’ Night celebrated its 2nd anniversary last week (woo hoo!) and has some exciting stuff in store. 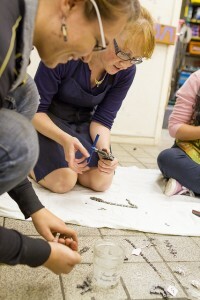 Then, on December 4th, Cassiope will be leading a session on making wallets out of inner tubes. They’re sturdy, strong, and abso-bloody-lutely cool. 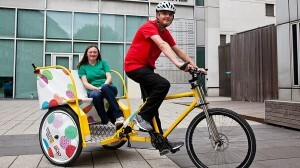 The One Show will be broadcasting live from Oxford city centre on Thursday 14th November at 7pm as part of the Children in Need Rickshaw Challenge, in which five youngsters who’ve benefitted from the charity’s projects were asked to cycle a rickshaw 700 miles from Northern Ireland to London. 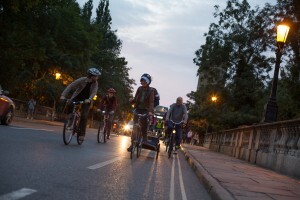 As Oxford is well known for the popularity of cycling, they would love some residents to show up and support the project. Please contact Hayley.Rhodes@bbc.co.uk if you want to be involved, or visit the website to see when they’ll be arriving! 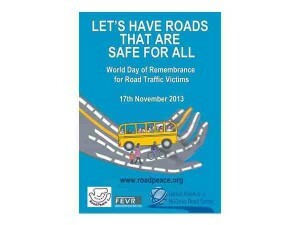 Come place a token for those loved ones who have been lost or injured and view a display on Road Safety. 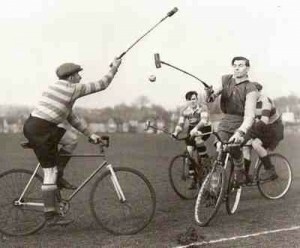 Did you know Oxford has a group dedicated to Bike Polo? Join them to play on Thursdays at 7pm and other random times throughout the week. Info here. 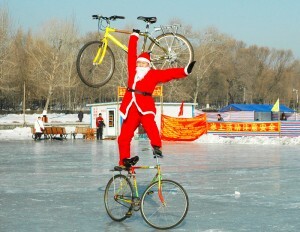 Want to know what the heck Bike Polo is? Check out the video. 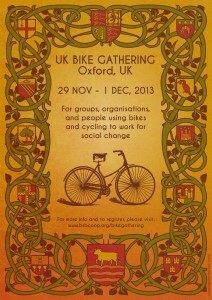 Come along to hear Phillip Darnton speak about how he thinks we can increase the number of cyclists in Britain. The talk is preceded by a very short AGM.